Rajendra Lakshmi was the daughter of King Mukunda Sen II of Palpa. She was married to King Pratap Singh Shah. King Pratap Singh had a wife named Maijurani. She had a son named Bidur Shah. Queen Rajendra Lakshmi gave birth to a son, Narendra Shah, who died while he was a mere infant. This event gave rise to Maijurani's arrogance who was very ambitious. She formed a group of her supporters, under the leadership of Brajnath Pandit. King Pratap Singh Shah could only rule for a short period. He died on Mangsir 6, 1834 B.S. after ruling for 2 years and 5 months. As the king could not rule himself, there arose a problem of who should conduct the administration. There were two groups in the palace. Some courtiers wanted Bahadur Shah (Pratap Singh's brother) to come back from exile in India and conduct the administration. But some were in the favour of Rajendra Lakshmi. Rajendra Lakshmi was not pleased with the courtiers, so she sent a letter to Bahadur Shah asking him to return to Nepal. When he came back, he was warmly received at the palace. Rajendra Lakshmi and Bahadur Shah jointly conducted the administration as reagents. Bahadur Shah was given foreign affairs and war and Rajendra Lakshmi was given the rest. But the joint regency could not last song. After five months, there was dissension between Rajendra Lakshmi and Bahadur Shah. Bahadur Shah put Rajendra Lakshmi under palace arrest. He started extending the territory. He went to Gorkha. In the meantime, Mahoddamkirti Shah released Rajendra Lakshmi. When Bahadur Shah heard this, he went to Betia again. In those days, Warren Hastings was the Governor-General of the East India Company in India. He sought Rajendra Lakshmi's assistance against Chet Singh and she was ready for that. Thus, she established a friendly relationship with the East India Company, although Chaudandi and Vijaypur had been occupied by Prithvi Narayan Shah. During Rajendra Lakshmi's regency, Karna Sens widow tried to regain her principality. Dhwajbir Sen was her adopted son. She gained cooperation from Palpa, Sikkim, Bhutan, etc. and sent the forces to Dhrumgadh. The Nepali army killed Dhwajbir. In this way, the dream of Karna Sen's wife got shattered. In addition to these achievements, she started her conquest campaign. Seeing that Nepal's administration was in a women's hand, there was a quarrel between Bahadur Shah and Rajendra Lakshmi and there was a lack of competent courtiers, Lamjung, Tanahun, Parvat, Palpa, etc. tried to attack Gorkha. Rajendra Lakshmi planned to defeat them. She sent her army against them under the leadership of Balbhadra Shah, Kazi Devi Dutta Thapa, Kazi Damodar Pandey and Kazi Amar Singh Thapa. Kazi Balbhadra Shah was able to bring over Kaski to his side. Then there was a battle between the forces of Chaubisi Rajya and the forces of Gorkha. Chaubisi Rajya was badly defeated. Availing of the opportunity, the Gorkhali army occupied Raginas of Lamjung. King Kirtibam Malla of Parvat conquered Kaski on the pretext of betrayal. King Siddhi Narayan of Kaski fled to Gorkha. Amarsingh chased away the army of Parvat and Siddhi Narayan got back his throne. After that, the Gorkhali conquered Tanahun. King Hara Kumar Dutta of Tanahun fled to Lamjung. Lamjung was also captured. The two kings fled and took refuge in Parvat. Parvat made Kaski invade the Gorkha army, but Kaski was defeated and was annexed to Nepal. Then Satahun, Garahun and Rising surrendered and they were also annexed. Rajendra Lakshmi suffered from tuberculosis. She died on Shrawan 2, 1843 B.S. She was a woman of extraordinary courage. She rode horses, played with swords and addressed soldiers departing to the battlefields. She was a competent administrator. 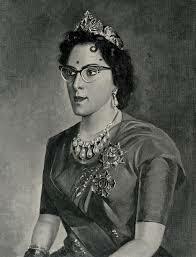 Rajendra Lakshmi was a daughter of King Mukunda Sen II of Palpa and she married to King Pratap Singh Shah. After a death of Pratap Singh shah on Mangsir 6, 1834, Rajendra Lakshmi and Bahadur Shah (brother of Pratap Shah) jointly conducted the administration as reagents. Seeing that Nepal’s administration was in a woman’s hand, there was a quarrel between Bahadur Shah and Rajendra Lakshmi and there was a lack of competent courtiers, Lamjung, Tanahun, Parvat, Palpa, etc. tried to attack Gorkha. Warren Hastings(Governor-General of the East India ) sought Rajendra Lakshmi’s assistance against Chet which established a friendly relationship with India. Rajendra Lakshmi suffered from tuberculosis and died on Shrawan 2, 1843 B.S. Write in short about Queen Rajendra Laxmi. Rajendra Lakshmi was the daughter of King Mukunda Sen II of Palpa. She was married to King Pratap Singh Shah. Queen Rajendra Lakshmi gave birth to a son, Narendra Shah, who died while he was a mere infant.Rajendra Lakshmi suffered from tuberculosis. She died on Shravan 2, 1843 B.S. She was a woman of extraordinary courage. She rode horses, played with swords and addressed soldiers departing to the battlefields. She was a competent administrator. She also established a friendly relationship with the East India Company, although Chaudandi and Vijaypur had been occupied by Prithvi Narayan Shah. How did the dream of Karna Sen's wife got shattered? During Rajendra Lakshmi's regency, Karna Sens widow tried to regain her principality. Dhwajbir Sen was her adopted son. She gained cooperation from Palpa, Sikkim, Bhutan, etc. and sent the forces to Dhrumgadh. The Nepali army killed Dhwajbir. In this way, the dream of Karna Sen's wife got shattered. Rajendra Lakshmi was daughter of ______. Unification campaign was extended by ______. Rajendra Lakshmi died of ______. King Pratap Singh Shah died on ______. Who was the son of Rajendra Laxmi? what was the mission of rejendra laxmi ? Any Questions on 'Extension of The Unification Campaign '?